This book fills a significant lacuna in our understanding of the refugee crisis by analyzing the dynamics that lie behind fifteen years of asylum policies in the European Union. It sheds light on why cooperation has led to reinforced refugee protection on paper but has failed to provide it in practice. Offering innovative empirical, theoretical and methodological research on this crucial topic, it argues that the different asylum systems and priorities of the various Member States explain the EU's lack of initiative in responding to this humanitarian emergency. 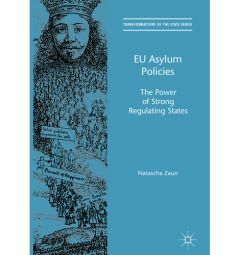 The author demonstrates that the strong regulators of North-Western Europe have used their powerful bargaining positions to shape EU asylum policies decisively, which has allowed them to impose their will on Member States in South-Eastern Europe. These latter countries, having barely made a mark on EU policies, are now facing significant difficulties in implementing them. The EU will only identify potential solutions to the crisis, the author concludes, when it takes these disparities into account and establishes a functioning common refugee policy. This novel work will appeal to students and scholars of politics, immigration and asylum in the EU.